I love when I figure out a way around what could be a complicated recipe. I like to cook, but I'm no chef by any means, and I will pass by a multi-step recipe every time. So when I try something new without modifying an existing recipe, it's something to be excited about. So if you're like me and constantly on the hunt for no-fuss dinners, this recipe is for you! 1. Start your water for the noodles. Add them in when it starts to boil. I always cook out noodles with some salt and parsley. 2. 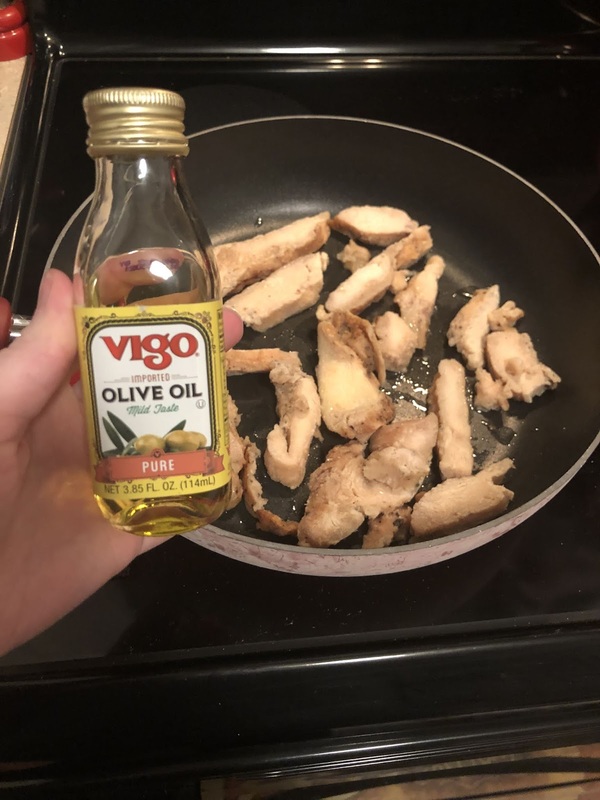 Saute your chicken strips. This is mostly to thaw them out and add any flavor you might want. I used about half the bag. I put a little olive oil on the bottom of my largest skillet, and once the strips had softened I added some Cavender's Greek seasoning. Once the chicken is warmed through, remove from the skillet and set aside. I cut ours into smaller pieces. 3. Add the frozen broccoli into the same skillet. I seasoned ours with minced garlic, but you don't have to. 4. 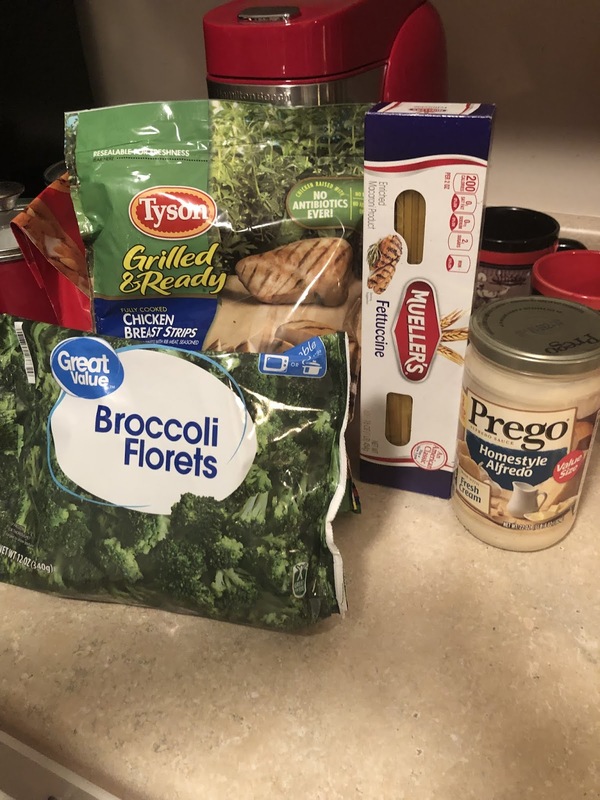 Once the broccoli is soft, not mushy, add the chicken back in along with the Alfredo sauce. Stir to mix it all together. I reduced the heat to medium so the sauce wouldn't burn. 5. 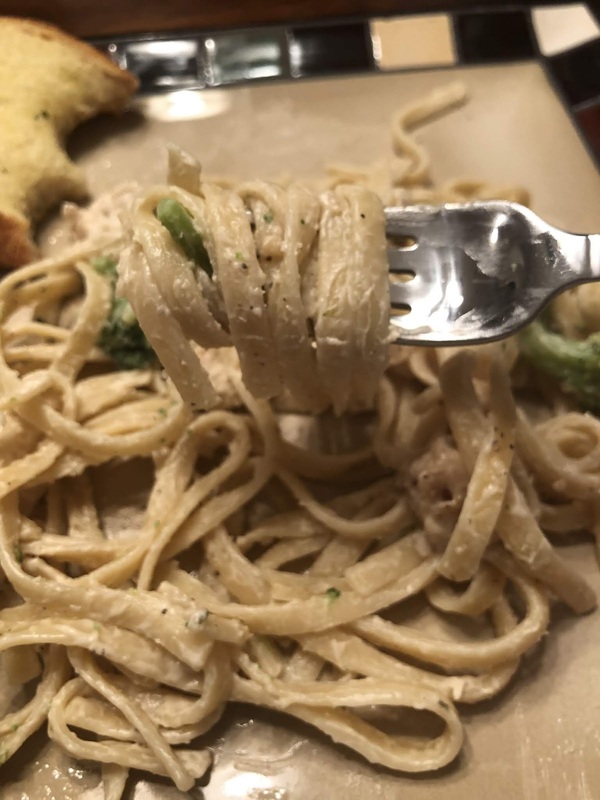 Drain your noodles and put back in the pot. Add the sauce mixture and stir to coat. 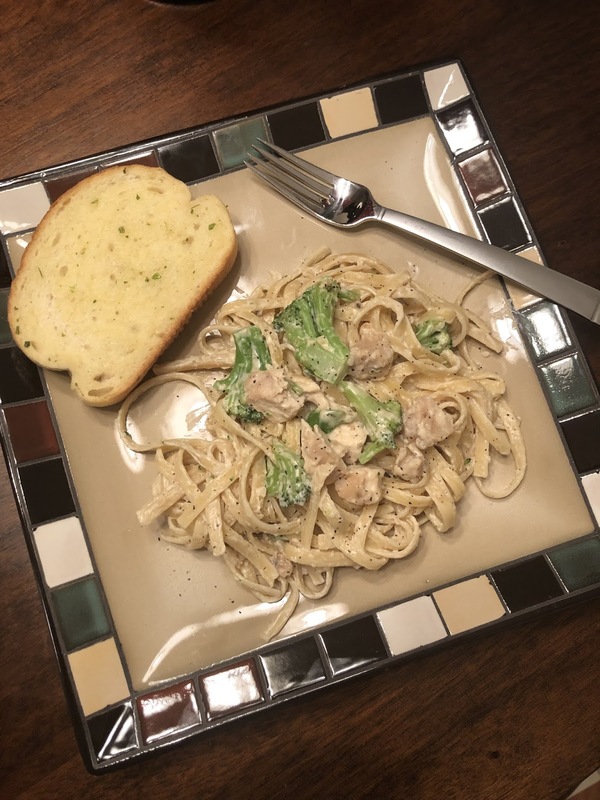 And there you have it, chicken and broccoli Alfredo that took less than 30 minutes to make and required no prep. What are your favorite chest recipes?